Reverse Audio is a technique that turn the end part of an audio to become the beginning and vice versa. If you wish to play backward of an audio or create a special sound effects using the reverse effect, then Dexster Audio Editor software is what you'll need. With Dexster, you can easily reverse the selected audio and turn it to become an interesting backwards playing track. In this tutorial, we'll show you how to reverse audio by using the Dexster software. The following tutorial will require the Dexster software. Download Dexster Audio Editor and follow the installer instructions to complete the installation. 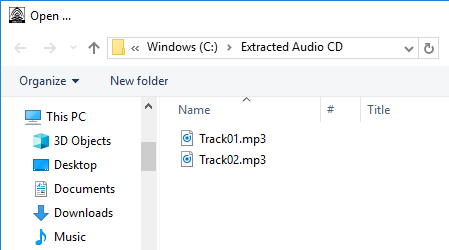 Run Dexster and click on the Open button to locate the audio that you want to reverse. Dexster will then import the audio into the editing panel. 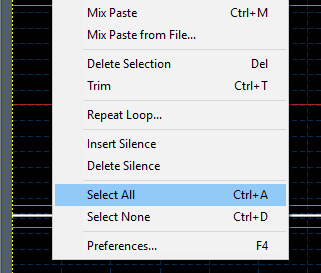 If you wish to apply reverse to the entire audio, click on the Edit menu and choose Select All. If you only wish to apply reverse to selected portions of the audio, click on the View menu and select Selection Range. Then enter the start and end time that you would like to edit. 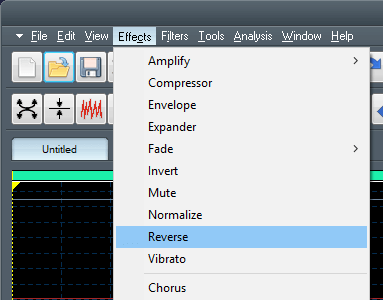 Once you've selected the audio, click on the Effects menu and select Reverse Audio. Dexster will then apply the reverse effect to the audio. Try to click on the Play button and you'll hear the audio being played in backward. Click on the Save button to save the audio.